Ashampoo® Media Player+ is a multimedia player integrating a wide range of features. It is considered as the player of the future generation. 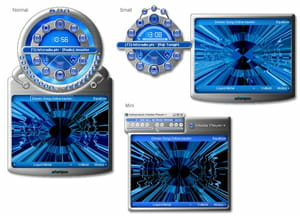 As a multimedia player, Ashampoo® Media Player+ supports a compendium of popular formats such as MP3, OGG and WAV. It integrates all basic buttons allowing users to control the player such as Play, Pause, Next and Stop. With Ashampoo® Media Player+, the user can also create a playlist from his favorite files. The advantage is that it can import this playlist on a CD, MP3 player, CD audio thanks to the Burning option. This utility is characterized by extensible features. The user has the ability to change a player into an image viewer that is capable of displaying images collection in slideshow. By connecting on the Web, Ashampoo® Media Player+ is able to stream radio stations easily and freely. A search engine has been integrated to find preferred radio stations. It is downloadable free of charge. The interface is well-designed. Latest update on June 9, 2016 at 05:49 AM.